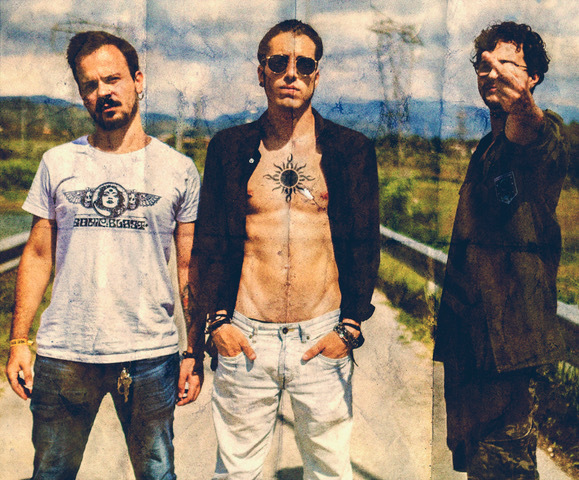 Mutonia is an Italian rock band formed in 2009 in Ceprano (Italy) by Matteo De Prosperis (guitar/vocals), Fabio Teragnoli (bass/vocals) and Maurizio Tomaselli (drums). In 2011, during their punk years, they recorded a live cd called: "Mutonia Live!". In 2012, they recorded a 5 tracks EP called "Gain From Waste". In 2014 they released their fist studio album: "Blood Red Sunset". The album was produced during the summer by Mutonia and Walter Corneli, a band’s friend. As well as being released on Bandcamp, the album also saw a physical release in Italy, Canada, Norway and in Sweden via Ozium Records. They toured in support of the album on the "Blood Red Tour" for a year. In 2015 the band wrote for another studio album called "Wrath Of The Desert", they recorded it in the Rock And Bones Studio and in September the album was released with the first video in preview: "Lonely Soul". In the 2016 the band went in the VDSS Recording Studio to record a new EP called: "One Way Ticket", composed by 5 tracks.